We stand by our products and our customers. Introducing Peak Select, Summit’s Lifetime Warranty. Now you have even more ways to save when you work with Summit. The Peak Select Lifetime Warranty covers the cost of repairs and two-way ground shipping, as well as advance replacement units to get your network up and running as quickly as possible. It is one of the best warranties in the business for both new and pre-owned equipment. You save two ways when you buy from Summit. First, you save on the initial cost of new and refurbished Cisco equipment. Next, you save over the life of your Cisco purchase as our Peak Select Lifetime Warranty is included on the vast majority of Cisco products, both new and refurbished. Our Guarantee that Peak Select qualified new and pre-owned Cisco products arrive in operational condition right out of the box. Free advanced replacements to keep you up and running. If we cannot find an advance replacement or repair your equipment, we will send a comparable model. Free repairs for the life of the product for all failures that occur during normal use and service. Free two-way ground shipping when you use our carriers. Is there a fee for the warranty? No additional fees apply, the warranty is included with the purchase of your equipment. Does the warranty cover equipment Cisco has deemed End-of-Life? Yes, the warranty is valid for as long as you own the product. What are the terms for replacement? Who pays for shipping? We offer Advanced Replacement. All shipping is paid by Summit via Ground delivery. Are Cisco phones covered under the Lifetime Warranty? No, Cisco Phones have a 1-year replacement warranty. Are Cisco’s Meraki products line covered under the Lifetime Warranty? No, the Meraki line of products have a 1-year replacement warranty. Does this warranty apply to new or refurbished equipment? Both! We want to be cost effective and also offer our clients the best solution. Our technicians ensure that every refurbished product is high quality and ready for use immediately after it’s received. Not seeing your questions on this list? 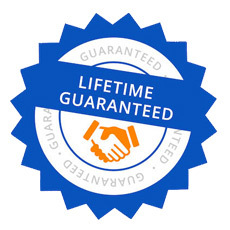 Contact us for any other questions regarding Summit’s Peak Select Lifetime Warranty.